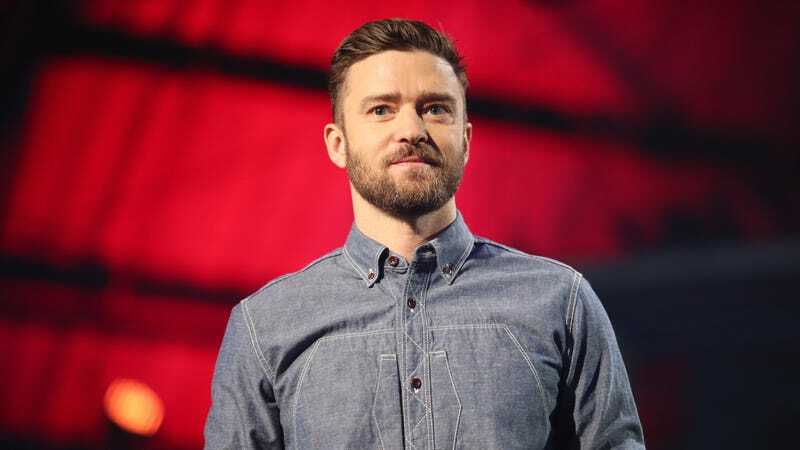 As announced in a jokey video with best buddy Jimmy Fallon, Justin Timberlake is officially set to headline the Pepsi Super Bowl LII Halftime Show in February. That’ll make it about 14 years from when he ripped off part of Janet Jackson’s outfit during her Super Bowl XXXVIII halftime show performance and helped introduce the world to the term “wardrobe malfunction.” The NFL also confirmed the announcement in a press release, and though it doesn’t mention if he’ll be taking anyone else’s clothes off in a pre-planned publicity stunt that totally backfires on everybody but him, it does mention that Timberlake, the NFL, and Pepsi are all super cool and popular. This year’s Super Bowl will be held on February 4 at Minnesota’s U.S. Bank Stadium, but for everyone who’d rather not go to Minnesota in February for some reason, it’ll air on NBC.